Almost 8 months ago I wrote an article about 3 trends in child abuse scandals. Regardless of whether abuse occurs at the hands of a childcare provider, a clergyperson, a swim coach, or a family member, I feel there are 3 very clear similarities. For starters, the victim is always trapped in one-on-one situations. Next, the predator exploits a position of power or influence. And, finally, criminal background checks often reveal no red flags. Based on all of the information that has been presented so far in the Penn State child abuse scandal, I think my original analysis still stands up. Jerry Sandusky cornered vulnerable children in one-on-one situations. Jerry Sandusky was undeniably an influential and powerful man at Penn State. And Jerry Sandusky was viewed by most as a good, kind man and mentor. Child abuse is always devastating, but when steps are taken within an organization to cover up abuses the damage goes even deeper. After all, even organizations that take every possible precaution to prevent the abuse of vulnerable people can be compromised by a highly motivated predator. 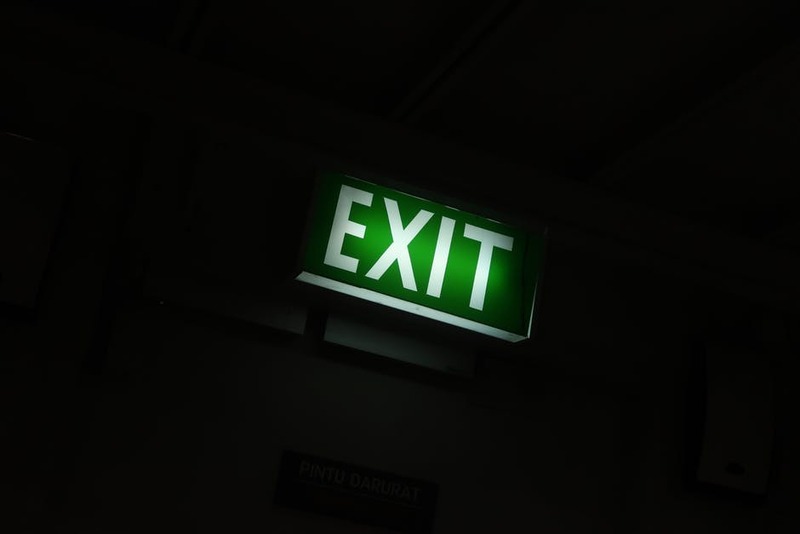 The steps taken after abuse occurs is what separates a responsible organization from the rest. Direct responsibility falls on to the entire organization for every instance of abuse that occurs after others are made aware of mistreatment. 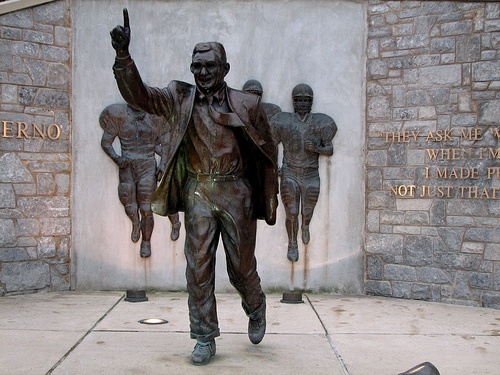 It's hard to think of a more iconic sports figure than Joe Paterno. The man was more than just a football coach... he was an institution. He was a living legend. The same can be said for Penn State football in general. They are more than just a Big Ten football team. In an era of glitz and flash, Penn State has worn the same, simple uniforms for decades. You often hear sports commenters say, "Penn State: They just do football the right way." To some extent, Jerry Sandusky himself was an icon. You would be hard-pressed to identify a more prominent defensive college football mind in the 80s and 90s. He was largely credited with building Penn State into "Linebacker U". Herein lies the problem. Joe Paterno, Penn State, and Jerry Sandusky were larger-than-life. They were heroes. The problem with heroes is we have a natural reaction to want to hold on to our heroes... even when all signs point to it being time to let go. Does Your Organization have Hero Delusions? Some organizations, especially those with long, storied traditions or highly celebrated leaders, are more susceptible to abuse cover ups than others. Pinpointing a handful of well-defined characteristics that might indicate this "Too Big to Fail" mentality is no easy task. The true indicators of cover up potential have far more to do with the culture of an organization than physical indicators. Does management place the finances or reputation of the organization above the well-being of members, customers, and employees? Does management prefer to operate within a culture of transparency or opacity? Are employees, volunteers, and members encouraged to actively voice their concerns and opinions about the organization? It is unfortunate that these topics even need to be discussed. I'd like to think that if ANYONE witnessed someone else being abused, that that person would not rest until the abuser was brought to justice... especially if the victim was a child. The following child abuse recognition and prevention policies should be in every nonprofit, youth-focused, and community-based organization's policy book. If the abuse was observed by an eyewitness there is absolutely no need for "internal investigations" or "probationary periods". Call the police immediately and let them handle the situation. Anyone aware of abuse that fails to notify the appropriate authorities is not only making a questionable moral decision, but they are also opening themselves and the organization up to federal prosecution. In cases where abuse is merely suspected, employees should be encouraged to report to management immediately. Management should then take immediate action. It is better to be wrong and report an instance where no abuse occurred, instead of being wrong and not reporting an instance where abuse did occur. Management also has a duty to report back to the employee, volunteer, or member who first raised concern. This person deserves to know that their report was taken seriously and that appropriate action was taken.